With one week to go until the release of Dying Light, the new first-person free-running zombie apocalypse game from developer Techland, some of you might be on the fence as to whether or not to buy the game. We’ve seen more than enough gameplay previews and trailers and such, but there’s only so much you can get from previews you know were made to look especially attractive and intriguing before they were released. No, no—the best way to see whether a game is something you might be interested in playing is to see others play it. Like Techland’s previous zombie title, Dead Island, Dying Light will allow you to play with your friends if you so choose. There’s also a mode that allows you to play as a crazy overpowered zombie. Below you can find two gameplay demos, one focusing on co-op play and the other showing what it’s like to play as the zombie. 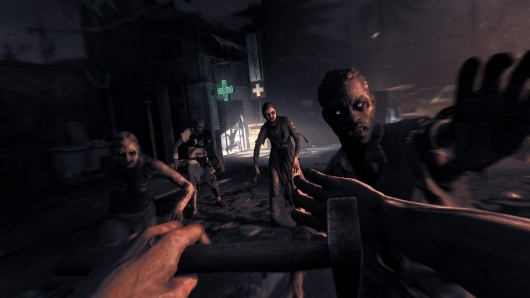 Both the co-op and the Be The Zombie modes look like plenty of fun, but there is a bit of controversy surrounding the latter. See, the Be The Zombie mode isn’t part of the game you’ll pay $60 for. Instead, it’s being offered ONLY if you pre-order Dying Light. This is not something gamers are very fond of, and it’s an issue that’s reaching its boiling point. That said, if you like what you’re seeing enough to pick up Dying Light, you can do so for Xbox One, PlayStation 4, and PC now. Gamespot is to thank for both of these demos.